Scotland assistant coach James McFadden says it's business as usual for the management team. McFadden, manager Alex McLeish and the rest of the coaching staff held a scheduled debrief at Hampden on Thursday to analyse Scotland's start to the Euro 2020 qualifiers. The Scots suffered a humiliating 3-0 loss to Kazakhstan in their opening qualifier for Euro 2020 and failed to impress in a 2-0 win over lowly San Marino. Some members of the Tartan Army began calling for McLeish to be sacked in the wake of those games. 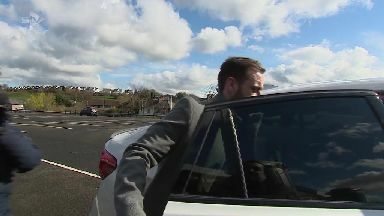 Speaking to STV, McFadden claims there was nothing unusual about the debrief. He said: "We have it after every game, we go over what went well and went wrong, it's obvious what went wrong. "We continue as is as far as I'm aware." Next up for Scotland is a crucial double-header with Cyprus and Belgium in June. McLeish took the reins last year and has led the country to the Nations League play-offs, through which they will qualify for Euro 2020 if they win two games next spring.